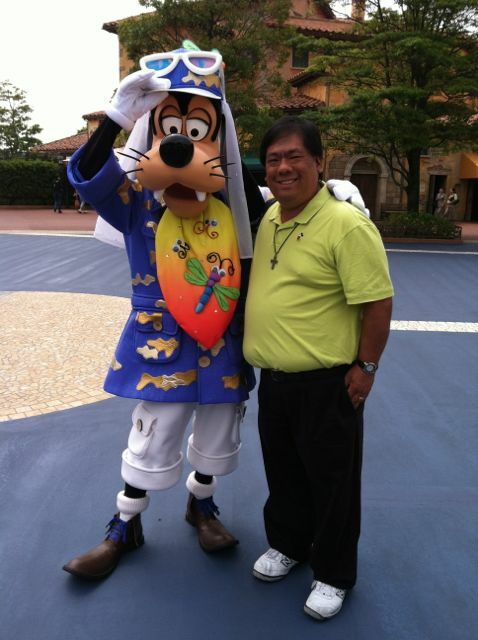 Me and Goofy together at Tokyo Disney Seas in 2012! Disney Nerds offers you the very best in exclusive previews, reviews, and interviews of all things Disney. My love of Disney has taken me all over the world and I hope my experiences will add to your own Disney experience. Whether that’s theme parks, movies, books, TV, toys, games, or apps, you’ll find it covered here on my blog. I also cover Disney-owned properties like Star Wars, Marvel, Muppets, and ABC. You’ll find that I’m a huge Once Upon A Time fan, read lots of comic books, and simply can’t get enough of the Disney theme parks. I am so grateful that over 7,000 of you have joined us for the ride! New friends join us on this journey all the time, and if you’re one of them – WELCOME! 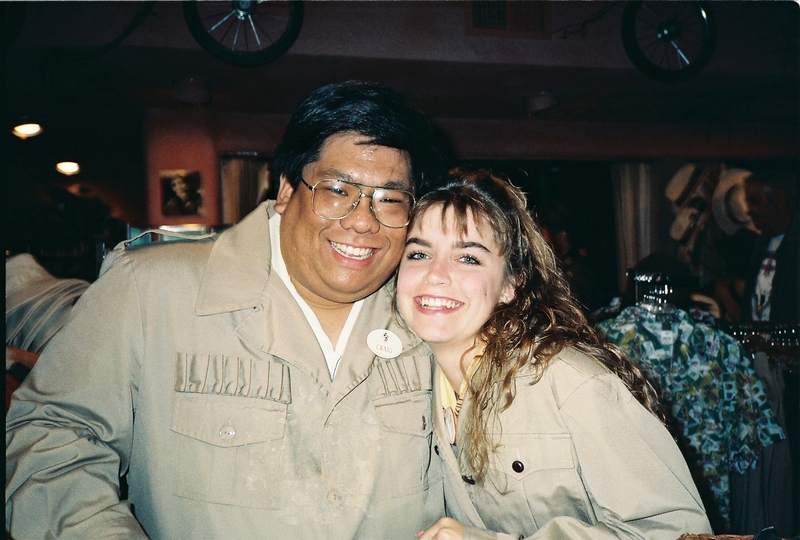 From my days as a Disneyland Cast Member way back in the late 80’s early 90’s, hanging with my friend Jen. 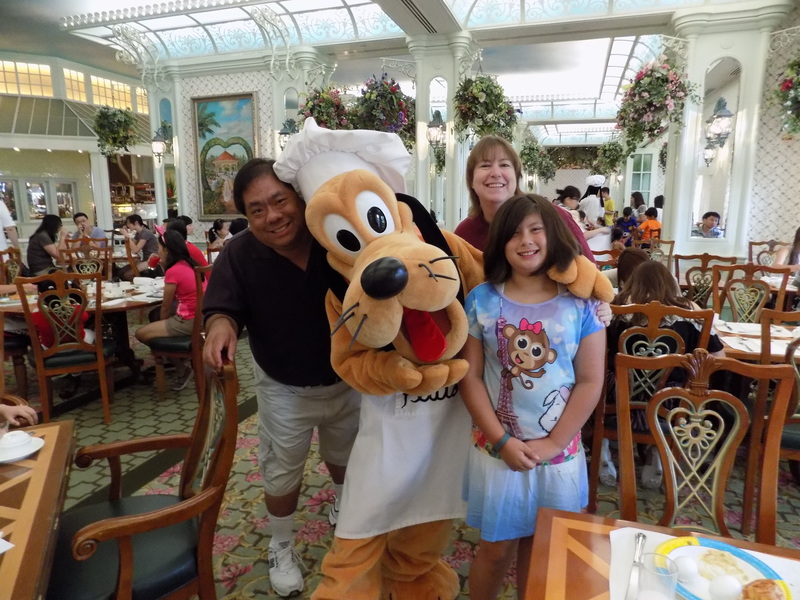 My blog began because of my love of the Disney theme parks. I found that having been a former Disneyland Cast Member and coming into the park hundreds if not thousands of times gave me an advantage in being able to share about what to do and where to go when visiting, especially for someone who had not visited in a long time or who had never visited at all! With so many choices and a limited amount of time, friends and family would ask for advice on what to do. After writing the same email 20 times I thought, “Why not do something online where I could just send people any time they wanted to find out the information I already had?” And thus it began. Meeting Jimmy Kimmel and sitting on his set! Wow! Going to the Star Wars: The Force Awakens press event was such a highlight! Today, we cover everything Disney. And that is in large part thanks to the people who have supported me along the way. I have made so many new friends and colleagues both inside and outside the Disney family of companies. From time to time, they help me out by sending me products to review or inviting me to events to cover and giving me opportunities I might otherwise not have. Although everything you read is my personal and honest opinion of it all, I do owe a tremendous amount of gratitude to those who have given me these blessings along the way. If you’re new to the site, here are links to some of the articles you’re likely to see on Disney Nerds. I hope you will come back again and again to journey with us. Please sign up to receive emails of all the latest posts so you don’t miss one, and you can follow me on our Facebook fan page (where I provide the most content), Twitter, Pinterest, Instagram, and Periscope. Thank you for following! DISCLAIMER: All opinions and reviews on the Disney Nerd blog are my opinions only and are not endorsed or sponsored by the Walt Disney Company or any of its affiliates in any way.